Alibaba’s tenth Singles Day event this past Sunday again set a 24-hour sales record. Those results represent an increase of about 27 percent over last year, smaller than the 39 percent year-over-year increase achieved in 2017. Despite concerns about a slowing Chinese economy and the effects of the trade war with the United States, Alibaba’s tenth Singles Day event this past Sunday again set a 24-hour sales record. 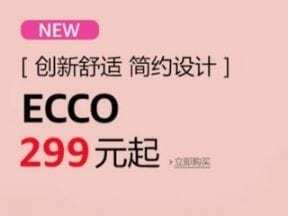 The Chinese ecommerce giant announced that sales reached $30.8 billion (213.5 billion yuan) for the 24-hour period, as measured by gross merchandise value, which is total sales value for merchandise sold but excludes marketplace revenue from fees and other services. Those results represent an increase of about 27 percent over last year’s total at current exchange rates. That was, however, smaller than the 39 percent year-over-year increase achieved in 2017. The GMV figure also excludes Alibaba’s growing offline sales. Fortified by an entertainment extravaganza, the event garnered $1 billion in sales in 1 minute and 25 seconds. Revenue exceeded $10 billion in an hour. 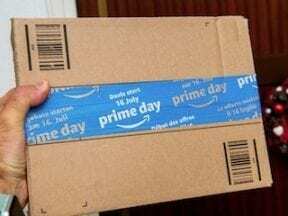 In contrast, sales for Amazon’s Prime Day 2018 totaled $4 billion for the 24-hour period. Singles Day, which occurs on 11/11 every year, started in the 1990s as an unofficial holiday on Chinese university campuses. The date, when written as 11/11, looks like the Chinese expression for “bare branches,” a term that describes bachelors. Some 180,000 brands were available on the platform this year, including top international companies. Apple, Dyson, Kindle, Nestlé, Gap, Nike, and Adidas all had excellent sales, surpassing $14.4 million (100 million yuan) each. Cosmetics companies Lancôme, Olay, Estée Lauder, L’Oréal, Elizabeth Arden, and Shiseido also did well. Consumers in 230 countries completed transactions. The iPhone was the top-selling smartphone brand followed by Chinese players Huawei and Xiaomi. According to a statement from Alibaba, over 40 percent of consumers bought from international brands. The top 10 countries selling to Chinese consumers were as follows. In 2017 Alibaba purchased Lazada, a Singapore-based ecommerce platform that has operations across Southeast Asia. This year Lazada hosted its own Singles Day event. Lazada is very popular in six countries: Indonesia, Malaysia, the Philippines, Singapore, Thailand, and Vietnam. Lazada offers 300 million beauty, fashion, and household goods products. To help minimize the language barrier between cross-border buyers and sellers, Lazada used artificial-intelligence-supported translation technology within its chat tools. Alibaba’s long-term strategy is to sell to consumers outside of China on Singles Day in addition to selling international brands to Chinese consumers. Besides Lazada, Alibaba purchased food delivery startup Ele.me (which means “hungry yet?”) and transport partner Cainiao. Ele.me operates a fleet of motorbike-riding delivery people who can quickly get take-out orders to consumers across China. Alibaba has also made investments in traditional retailers, including department store chain Intime Retail Group. Alibaba will likely continue acquiring companies, as it expands the “New Retail” strategy that blends online and offline goods and services. JD.com — Alibaba’s biggest rival in China — announced that it sold $23 billion in goods in its 11-day sales campaign that started on November 1. That is an increase of 26 percent over 2017. Some analysts believe that other online marketplaces are taking overall market share away from Alibaba. For example, Pinduoduo, established in 2015, is a rapidly growing platform that allows users to participate in group buying deals, mostly through internet technology investor Tencent’s WeChat application. Earlier this year Alibaba cut its sales forecast for the fiscal year ending in March 2019 by roughly 5 percent, citing the shaky economy and the trade jitters with the United States. Alibaba relies on the flourishing Chinese middle class — 400 million strong — comprised mostly of people in their 20s and early 30s. This demographic is pulling back on non-essential purchases according to analysts, a fact that could affect Alibaba’s growth. Many U.S. commentators noted the slower growth rate for Alibaba on Singles Day this year and are predicting that the holiday may lose some of its appeal in the future. In some news reports, Chinese consumers stated that Singles Day discounts this year were not deep enough. Ming Na, a popular Chinese blogger, was quoted in The New York Times as advising young Chinese, “The age of the consumption downgrade has arrived with a big crashing sound.” Alibaba is big enough to survive a sales decline, and it continues to diversify. Next year’s Singles Day, however, might look different.